AcyMailing - Ideal Extensions for Joomla! 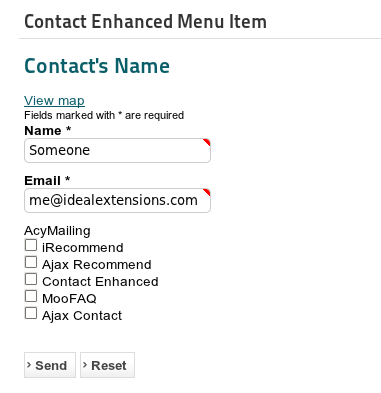 You can integrate AcyMailing with Contact Enhanced so that when a user submits a form, this user is also subscribed to one or several AcyMailing Lists. 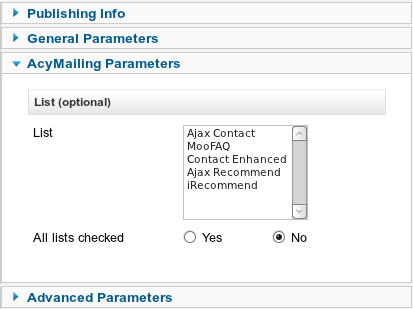 Contact Enhanced uses the AcyMailing API, so it will work with all AcyMailing Versions (including Starter). 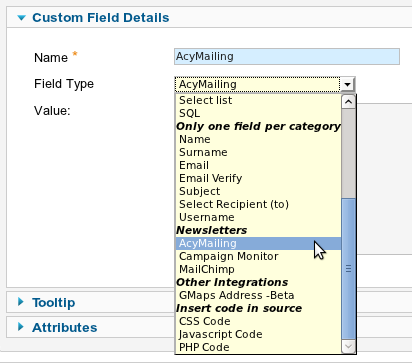 Choose a category for your Form Field (CF), then Save the changes in order to load the AcyMailing Form Fields Specific parameters. The image on the right is an example of how AcyMailing CF is be displayed on a page. 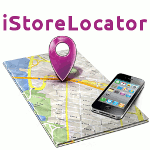 In this case it is displaying all lists.